If you are any kind of observant person, you would have noticed that I have been on a bit of a hiatus so far this year. The reason is not nearly as exciting as it usually is with these kinds of things; no, I haven’t been working really hard because I got a book deal or a segment on the Food Network or anything, I’ve just been busy and everything has fallen by the wayside. Arriving back from overseas has kind of put a stop to all my creativity and I am experiencing a real lack of inspiration; I don’t have any trips planned and I can’t speak all day pottering about in the kitchen as I would like. But as we enter into the fifth month (!) of the year, I think it’s high time that I get my A into G and get back to it all. I’m sure I made some promises about ongoing challenges I had issued myself last year, I can’t really remember them but here’s to hoping they come back to me. But in the meantime, I have some planning to get to, some failures to rethink and a very large stack of cooking books to get reading! This is the last Christmas post. Promise. Mushrooms, stuffed with blue cheese, coated in breadcrumbs and roasted until golden. Simple as that. I tried a recipe from my pile of cookbooks a few months ago where an egg was cracked into a Portobello mushroom and baked until they were both supposedly cooked and I wasn’t a huge fan – I loved the concept but I was faced with the dilemma of having a runny egg and undercooked mushroom or a cooked mushroom with an overdone egg; double edged sword in my opinion. But I took the idea and ran with it regardless. For this dish I used brown button mushrooms which are smaller than Portobello so they cooked faster and I knew the cheese would be fantastic at any consistency. I began with about 15 mushrooms, peeled and stalks removed, I mixed 100grams of Danish blue vein cheese with a dollop of Greek yoghurt until it was nicely combined and relatively smooth. Next, I put them in the fridge so the cheese could set and had another glass of champagne. I then proceeded to coat the mushrooms in whisked egg and rolled them in a mixture of panko breadcrumbs, flour, salt and pepper before roasting them in a hot oven for about 20 minutes. What I like about panko breadcrumbs above everything is their size; they aren’t as fine as regular breadcrumbs and maintain a nice crunch after cooking instead of absorbing too much moisture. You could use any kind of cheese you want for this – I would recommend something creamy like gorgonzola, feta or chèvre but you could also make it work with cubes of cheddar or camembert. I want to be able to say that this dish is wonderful hot or cold, and would make a great accompaniment to a cheeseboard or meze plater, but all of the ones I prepared had vanished seconds after the dish was placed on the table – an excuse to make them again, I say! Since we are in December now, it’s totally okay to start talking about Christmas, and by that, I mean what we are all planning to eat on Christmas. In my family I am put in charge of the menu each year and the pressure to start planning is applied as early as September. Even though I like to use Christmas as a time to experiment with new recipes, I know there is a lot riding on everything coming off as a success. Desserts are always the area that make me the most anxious – it’s not as easy to wing it with something that requires a strict set of ingredients, so I decided to do a test run of my planned salted caramel chocolate brownie tart. The name of this recipe is a bit of a mouthful, and it’s just as much of a process making it – a chocolate biscuit base, a layer of gooey caramel topped with a rich, dark chocolate brownie and glazed with a layer of even richer chocolate ganache. I adapted a recipe from the Akaroa Cooking School and used a sweet pastry base for my test run because I had some I needed to get rid of and wasn’t sure if all of the chocolate was going to be a sensory overload. While the pastry was blind baking, I heated a can of condensed milk with 75grams of butter and several tablespoons of honey. I also added a teaspoon of sea salt because I love that salty juxtaposition. Once the butter was melted and the condensed milk had morphed several shades darker, I poured it over top of the base and baked for 10 minutes at 170°C. The caramel comes out another shade darker and had thickened nicely. While the caramel was cooking I got started on the brownie – 150grams of melted butter, ½ cup of cocoa powder, ¾ cup of sugar combined to a thick paste. I whisked in two eggs and folded through a cup of flour, a pinch of salt and another of baking powder. This makes a rather thick mixture and since I want it to pour evenly over the caramel layer, I might thin it with a bit of water next time. I popped it back into the oven for another 20 minutes before leaving it to cool. The ganache is simple enough; ½ cup of warm cream and 200grams of dark chocolate poured over the cooled brownie and refrigerated until set. This slice of heaven is definitely a chocolate lover’s fantasy, and while the pastry base is a nice touch I think I will be making a chocolate base come Christmas time – in my mind, you can never have too much chocolate! 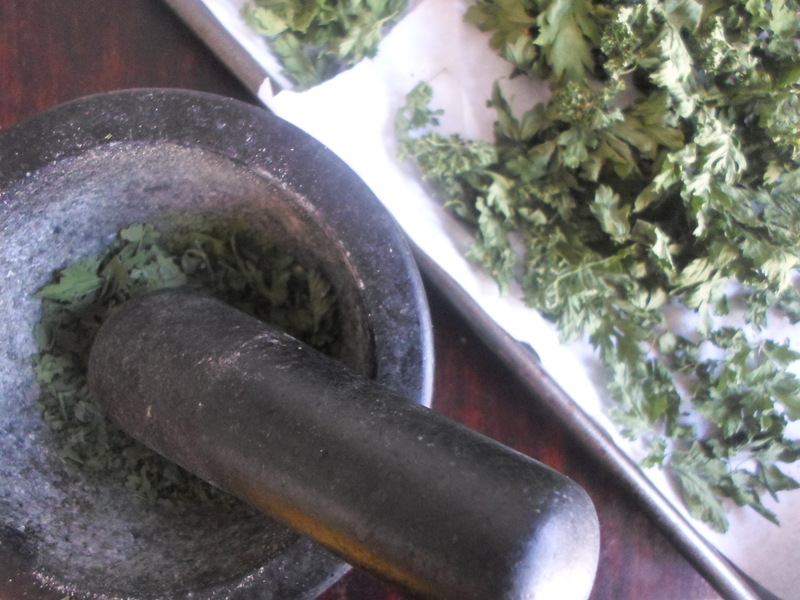 I once dated a chef who detested dried herbs. And I really mean detested, to the point of often commenting to wait staff when a dish used dried herbs, and I don’t mean nice comments. It’s safe to say, we are no longer together. 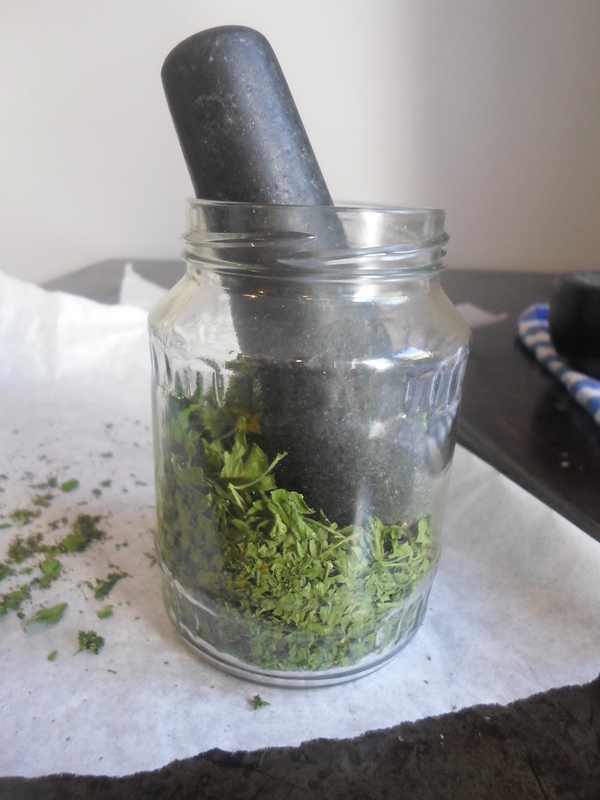 I love dried herbs, I think they are handy in every style of cooking. And even though they never have the same flavour as fresh herbs, I wouldn’t necessarily say their flavour wasn’t as good. 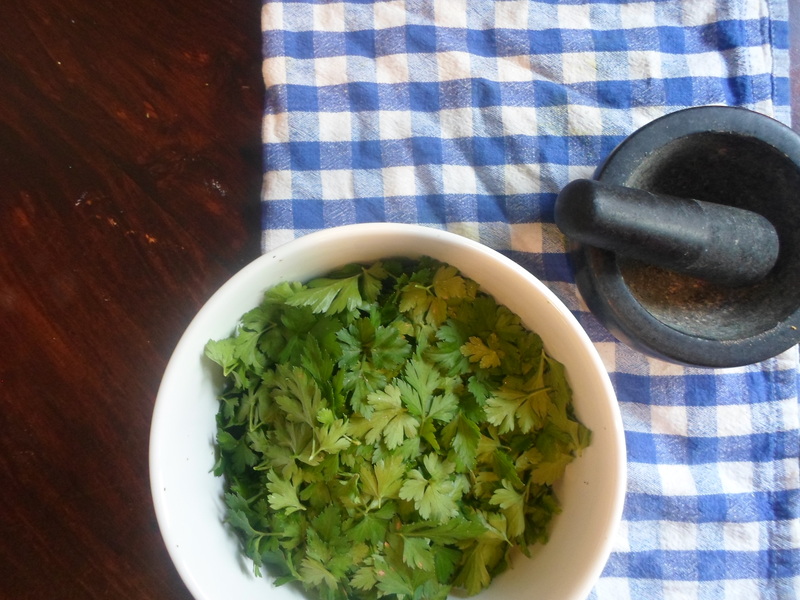 The issue I find with fresh herbs is that, unless you keep them in a little pot on the windowsill, you run the risk of never using them because, like me, it is far too much of a hassle to run to the front porch to pick some parsley while you’re in the midst of cooking. 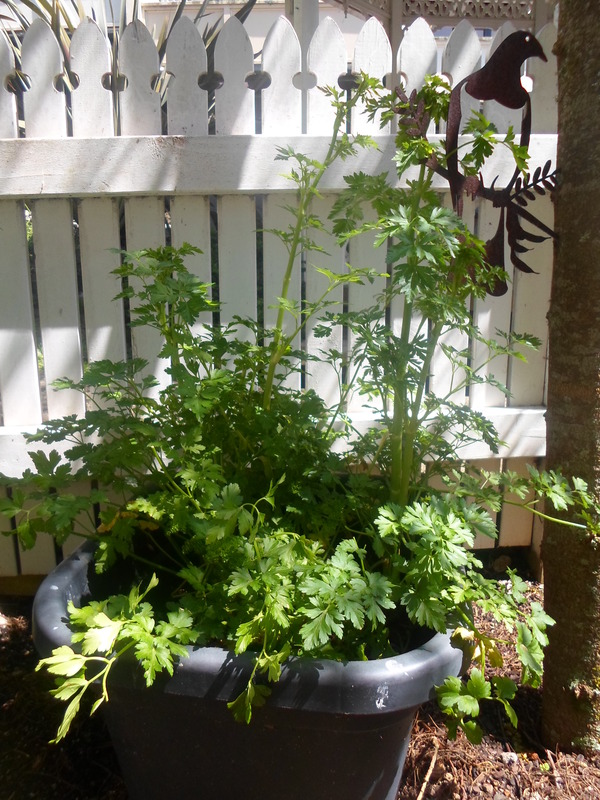 Because of this reason, I noticed that a) I was hardly ever using fresh herbs and b) my herb pot was barely noticeable underneath the tangles of lime green that used to be a quaint little parsley plant but has more recently transitioned into a fully-fledged tree. It was going to seed and I had to do something about it. So, I spent the better part of an hour snipping any useable leaf off the plants before some serious pruning; cutting the plants back to within an inch of life. Obviously I did all of this while trying to avoid disturbing the snails and other creepy crawlies that have set up shop down amongst the weeds. 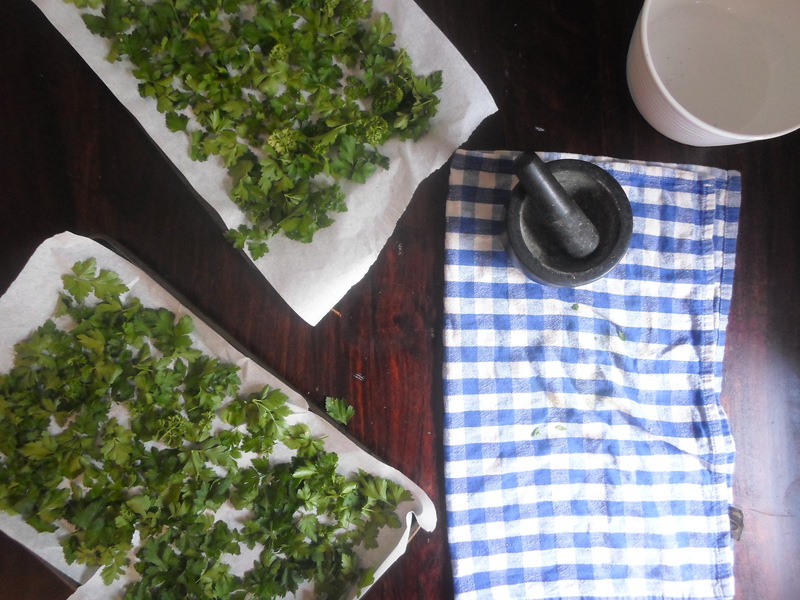 Drying herbs is by no means a difficult task and there are a range of ways to do it; from hanging it in bushels above the window, dancing in the breeze and basking in the sunshine, to using a dehydrator or slow cooker. I opted to do use the oven because I was not overly confident that the sunshine wouldn’t give way to rain, and there was a table hen in my slow cooker. Low difficulty factor aside, the time factor is rather high – it does involve having the oven on for most of the afternoon so it’s a great excuse for avoiding any social contact on a day when you would rather be sprawled out on the couch or sipping a mojito on the veranda. 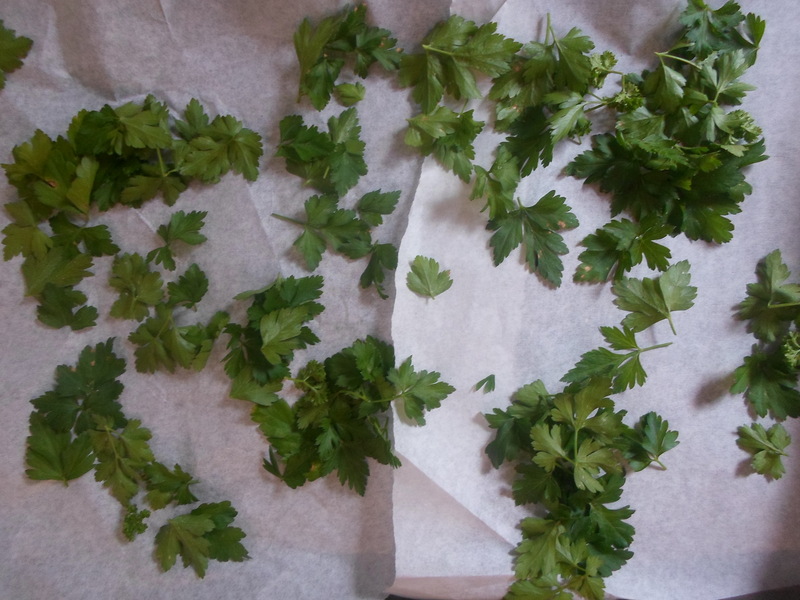 Rinse your herbs, pat them dry and leave on a tea towel until all surface moisture has evaporated. Spread them artistically on a baking tray lined with baking paper and take a moment to admire their pure, green beauty. Insert the tray into an oven which is set at slightly above body temperature – mine was just below 50°C and prop the door slightly ajar with a folded tea towel. Depending on how much you are drying, and I suggest you make the quantity rather large, the drying process will take at least 3 hours but do not take them out until they are as dry as a dead autumnal leaf. The low temperature won’t set them alight if they are left in slightly too long – I went to bed and woke up in a panic-stricken state at 2am because I hadn’t turned the oven off, and mine turned out fine! Once they are out of the oven and completely cooled, crush them and store in a jar or airtight container, this can be done either by hand or with a mortar and pestle. The leaves will break up as you jam them all into the jar anyhow. One last word of advice; make sure you label the jar rather boldly, we wouldn’t want anyone seeing it and assuming it’s something else… you all know what I mean, don’t make me say it! My approach to learning the French language was slightly alternative to most; I didn’t take French at school, in fact, my school didn’t even offer French until I was 16. I studied Japanese at university then decided, in a rather spontaneous decision, to move to France instead of heading to Japan as originally planned. Armed with a My-First-French-Words book, I set off on a whirlwind attempt at conquering this difficult little language. It turned out that my greatest tool would actually be a cookbook. 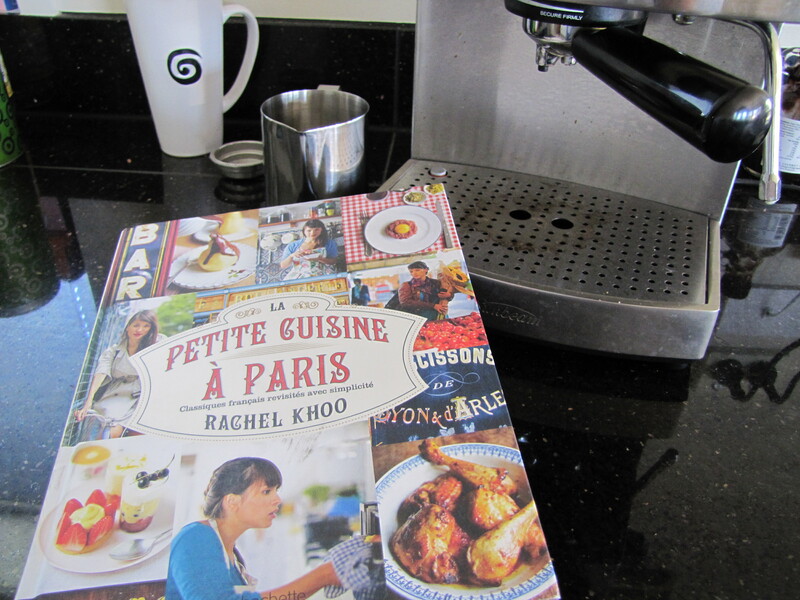 La pétite cuisine à Paris by Rachel Khoo was first published in 2012 and details the recipes Rachel finds closest to her heart from her time in Paris. 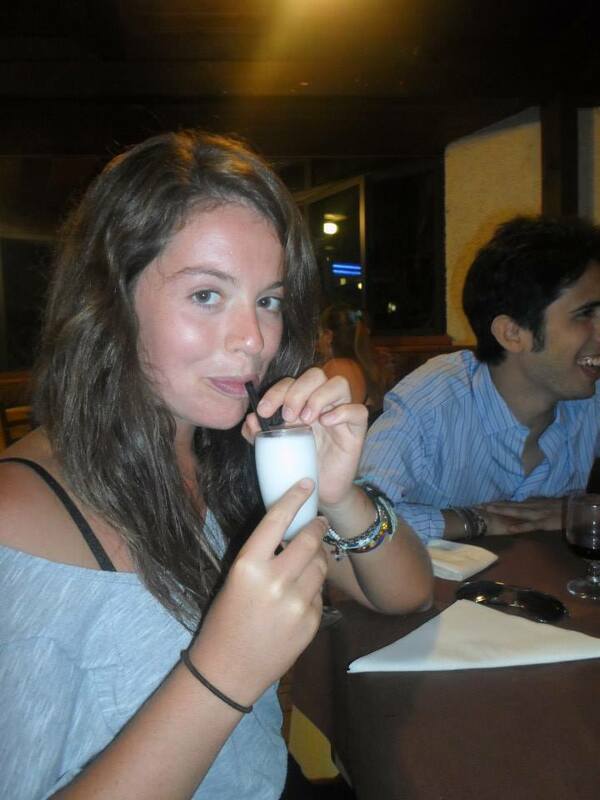 Like me, Rachel moved to France with basically no knowledge of the French language, unlike me, she has become hugely successful. Her love of food, cooking and entertaining is prevalent in this book, and that is what I love about it, it’s not pretentious, like French cuisine can easily become, the food is uncomplicated and gives a modern spin on many French classics without being too ‘modern’. When I was given this book (as part of the French-est Christmas present ever) I was under the impression that Rachel had written the book in French, or translated it herself from the English version, but I am not quite sure I can confirm this as a true fact. But at the time I liked if for that very reason; it made me believe that it wasn’t impossible to master the language, even though so many irregular verbs should be illegal; if she could do it, and write a book to prove it, then so could I! The language the book uses is relatively basic – the majority of it is recipes; they all follow a similar structure and repeat many of the same verbs and nouns. 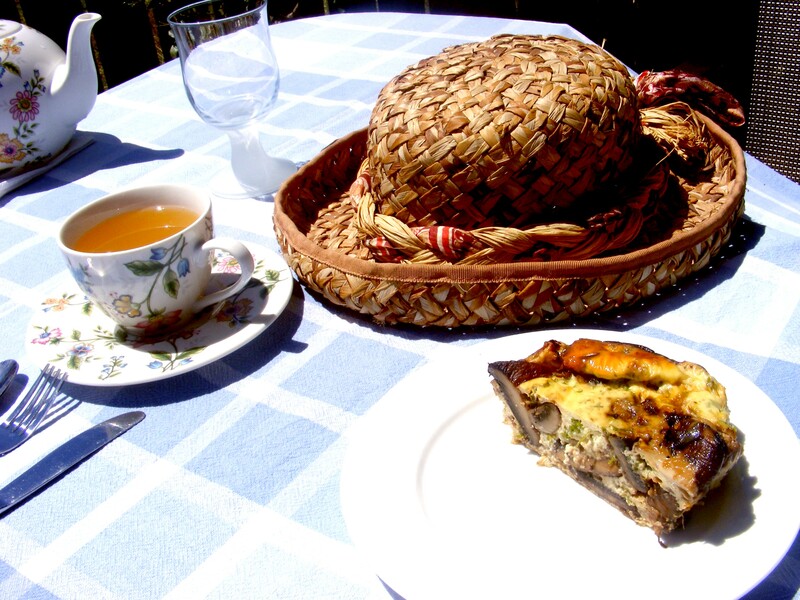 Reading it and cooking from it was an excellent way of improving my reading ability, practicing verb conjugation in a practical and delicious way while learning verbs and nouns that would eventually come in very handy! Faire fondu, préchauffer, and la recette are all phrases that anyone who has to cook anything in French needs to know. As well as teaching me how to say whisk in French and the words for a bunch of vegetables, it also provided me with a crash course on the French classics. We have all heard of coq-au-vin and macarons, but my favourite new encounter was her mini tartiflettes – a sinfully delicious Savoyard take on potato bake, filled with smoky lardons and gooey melted cheese; relatively unheard of anywhere else and one of France’s best kept secrets! They say that your tastebuds change every seven years, that your body almost resets itself and redefines the way it reacts to different flavours and textures. I have found that over the last year, the way that my body reacts to a variety of things has completely readjusted itself; I don’t particularly like white wine anymore and I am highly sensitive to pollen and olive trees, I have also fallen in love with radishes. “Fallen in love”, is technically not the right way of putting it; as a child I thought radishes were awesome. 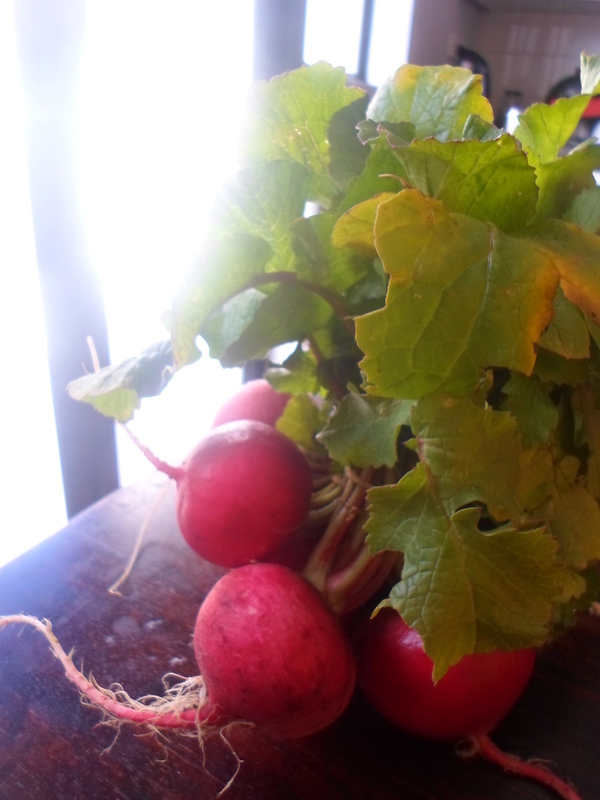 I remember being assigned a science experiment testing how radishes grew in varying environments – darkness, cold etc. 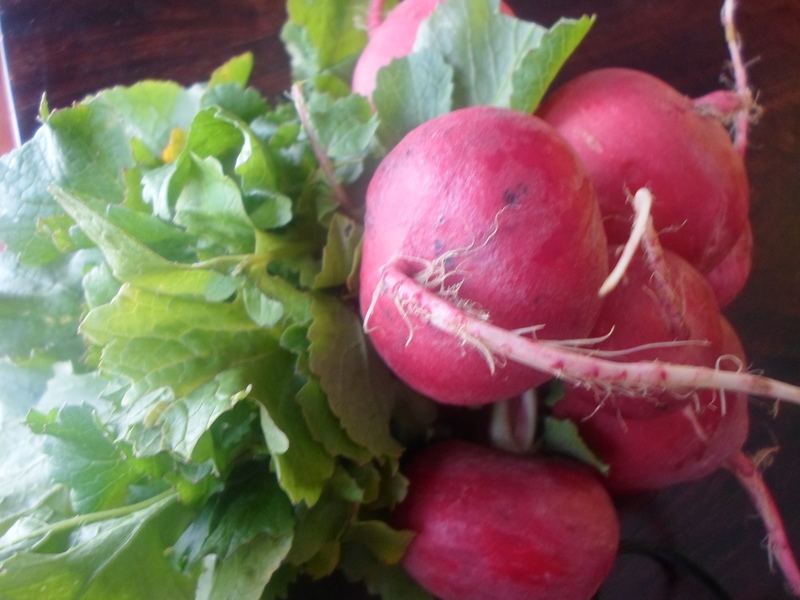 and instead of placing my radishes in dank, cold cupboards where I knew they would die, I left them all on the veranda to flourish and changed the experiment to ‘how many radishes can I eat in one sitting’. But as the years progressed, leading up to my teens, I thought they were awful. I hated the peppery aftertaste, and texture; not a quite a crunch but not soft either. It wasn’t until a few years ago that I tried them again, and now I can’t get enough of them. 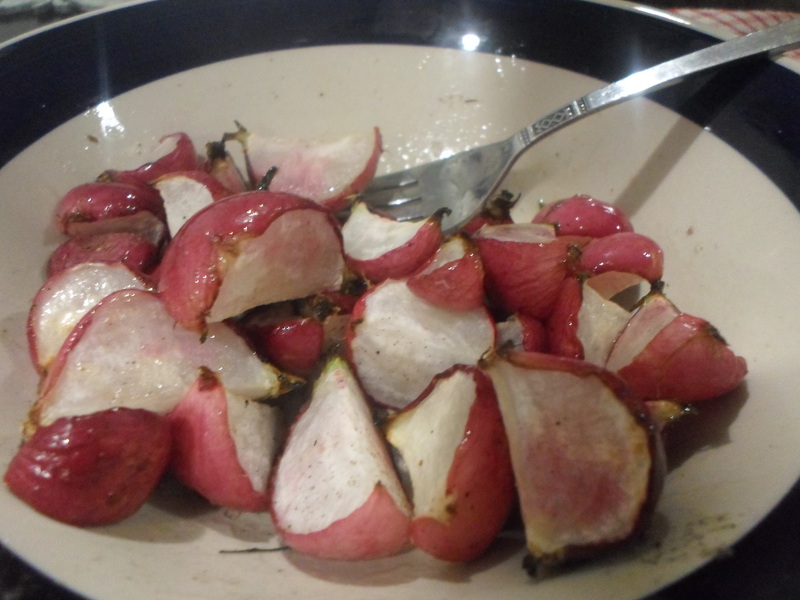 Most people are stumped at coming up with ways to use radishes that extend further than a pop of colour in a salad, but I love to roast them and cover them in brown butter sauce. 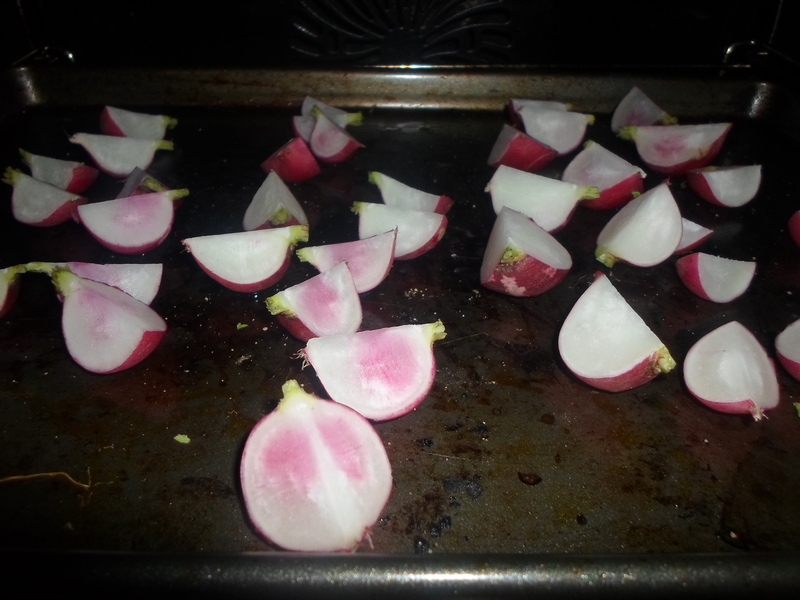 Place your radishes, halved or quartered onto an oven tray and bake at 230°C for 20-30 minutes, until their skin is pink and crisp, not quite burning, but so close it almost hurts. The flesh will be plump and juicy, no longer dry and tart like when they’re raw. While they are cooking, melt a knob of butter and a pinch of salt, mix constantly over a medium heat until it shines like glassy caramel. Squeeze in a dash of lemon juice at the very last moment before serving – either pour over top of the radishes or serve on the side and dunk them in. Make sure that you have a napkin close at hand, you’ll need it to mop up the gooey butter and warm radish juice running down your chin! We all know Italy as the land of pizza and pasta, beaches almost as beautiful as the people and so much sunshine it seems unfair to the rest of the world. 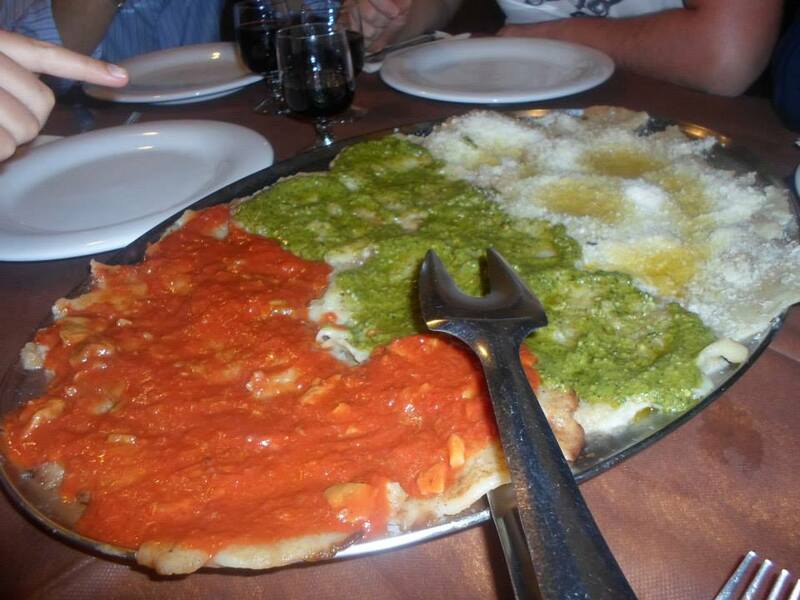 It is one of the most widespread and well-known food localities, and we all have a favourite Italian dish which has no doubt, been bastardised by inauthentic interpretation. But there is so much more to discover than pizza and pasta; it is a nation of food just waiting to be discovered. Woody smoke fills the air, competing with the noise of the restaurant crammed to the brim with patrons giddy off wine and delicious food. An evening in the Ligurian countryside is always an evening of discovery; a hearty meal of panigacci (see above; a dish that I am too timid to ever attempt to recreate!) followed by this boozy little treat: Limonita. Pale and tangy, slushy with a little crunch, limonita is essentially a limoncello granita. 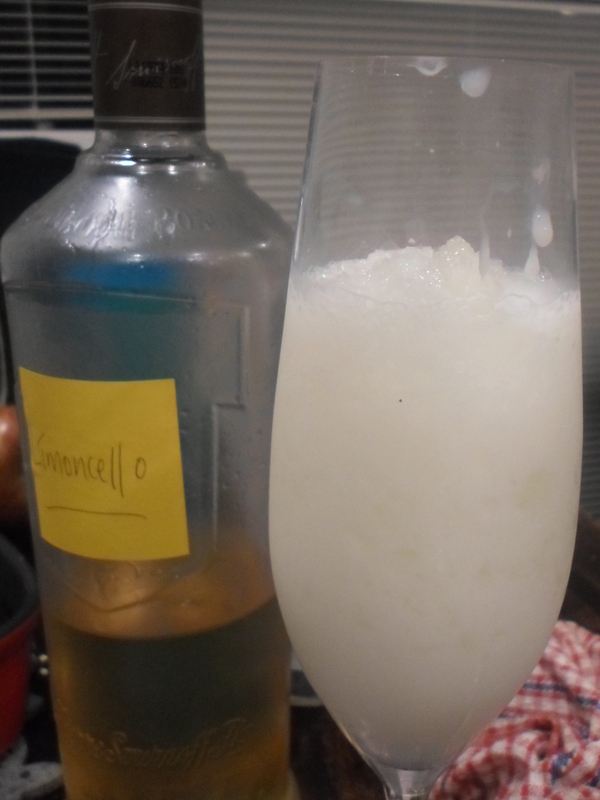 Icy and easy to drink, it is a great after dinner digestive on balmy summer nights – and so easy to make at home! I have had to do a little experimentation with this recipe because nothing I have found on the internet sounds anything like the way it was explained to me – although that could just be due to a lack of a common language. You might want to adjust the quantities of each element, but this is how it got my tastebuds tingling. 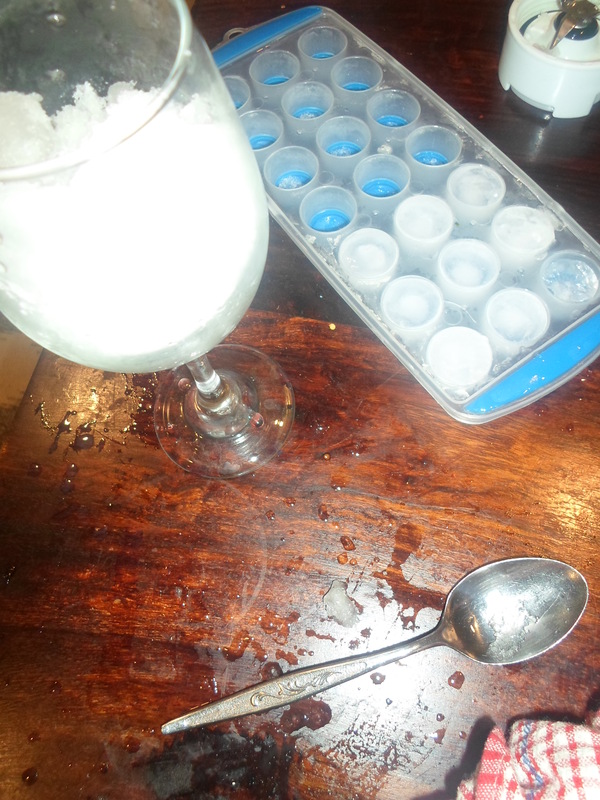 Step one: fill a champagne flute with crushed ice. Step two: add a shot of cream. Step three: add a shot of limoncello. Step four: add a tiny dash of vodka. Finally, give it a bit of a stir and you’re ready to go! The trick is to get the balance of cream and ice just right; it is essentially a dessert drink, so fresh and creamy that you should be able to close your eyes and feel like you’re drinking ice-cream with the zesty lemon flavour lightly prinking your tongue. If you are in the mood for a for something with a little more punch, you can make a dairy-free version; replace the cream with a shot of vodka and a squeeze of fresh lemon juice and away you go. 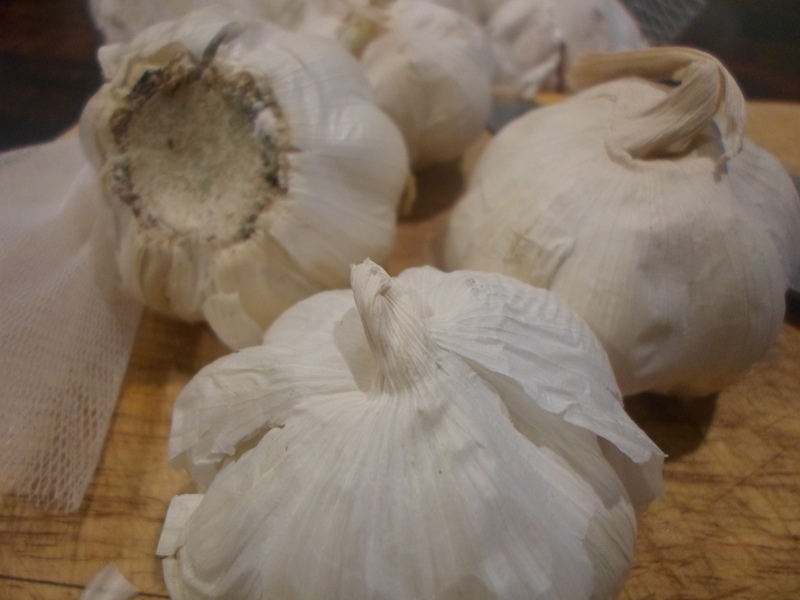 In my opinion, garlic is an essential ingredient in any dish, with very few exceptions. I roast it whole, I slice it thinly and add it to sauces, I even crush it and spread it over hot, butter toast; an instant garlic bread! While most families’ vege gardens are teeming with carrots, bushels of lettuce and tangles of shiny tomatoes, the most predominant feature in my family’s garden was always row upon crocked row of flaxy green garlic shoots. We took great delight in looping the thin stalks together into wide plaits, the bulbs sleepily drooping as they were hung up to dry. I recently bought a big bunch of bulbs for a bargain of a price, and I was stoked with my score. Until I got home. On closer inspection, many of the cloves were going to seed, some were even rotting and growing mould; I was distraught. No wonder they had been so cheap! For those of you who aren’t fussed enough to remove the germ, David Lebovitz did an interesting test with them here. 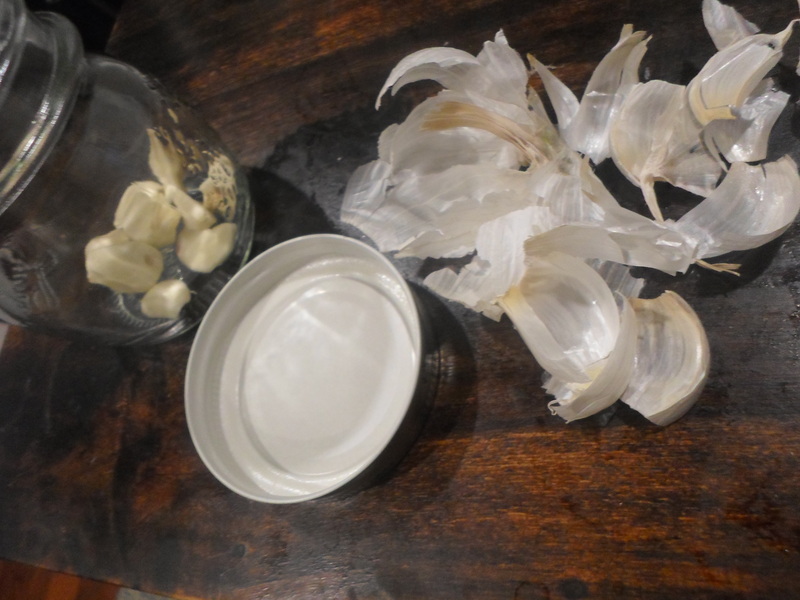 My brain peddled into overdrive as I listed all of the ways I could use as much of it up as possible; can you freeze garlic? How long will they last drowned in olive oil? How much roast garlic could I eat in one sitting without making anyone not want to sit in a two metre radius of me? Obviously, I turned to the internet to answer my questions. Yes, you can freeze garlic, although its best to slice it before you freeze it so it can go straight from the freezer into the pan. If crushed and mixed with double the amount of olive oil, the mixture won’t freeze solid. 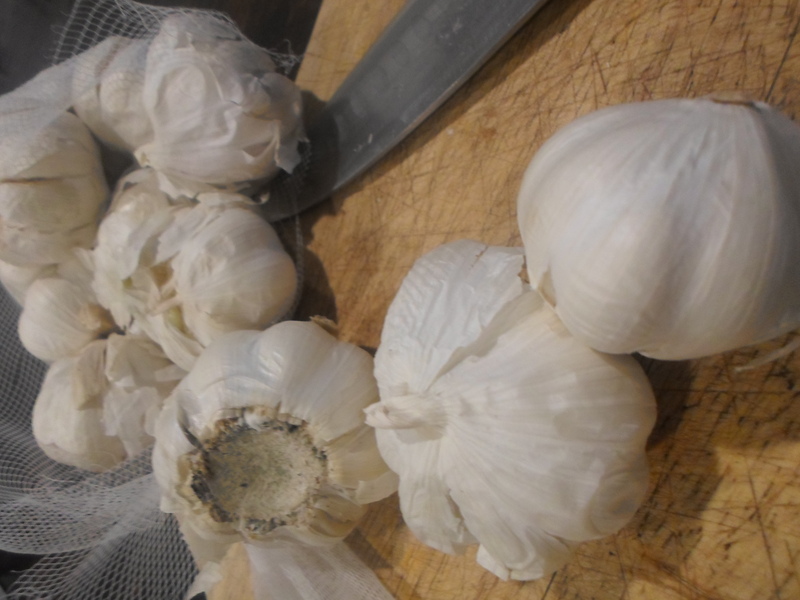 Instead, it will maintain a thick, pulpy consistency – giving you long-lasting garlic and delicious, perfumed oil. I didn’t want to use so much oil, so I opted for the option of a garlic paste. My fingers were numb by the time I had peeled and degermed the cloves from seven garlic cloves, so it’s a good thing the next steps are so straightforward. 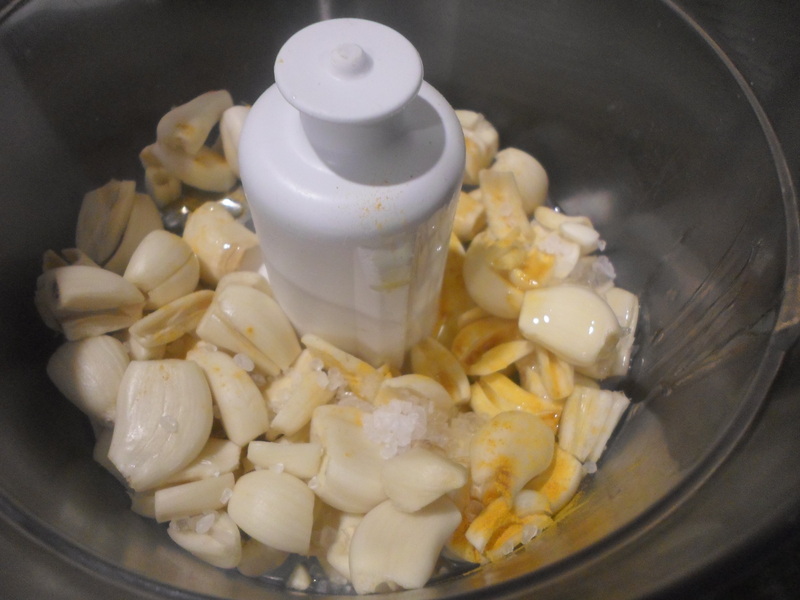 Add the garlic to a food processor, for each bulb drizzle in a tablespoon of oil and a pinch of salt, I also added a pinch of turmeric for flavouring. 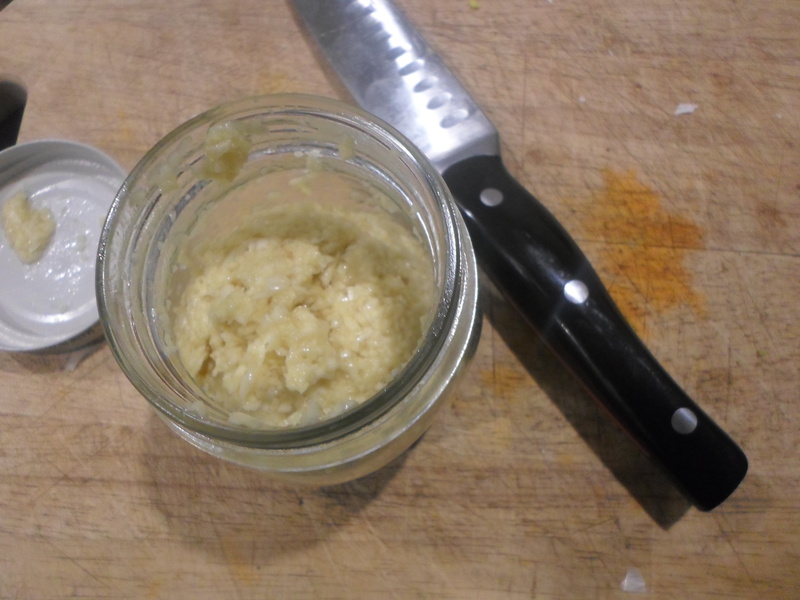 Whiz until it’s as smooth or as chunky as you would like, transfer it to an airtight jar and store in the fridge or freezer. A perfect garlic bread spread or to add a dollop to any meal! It is official; I have failed. 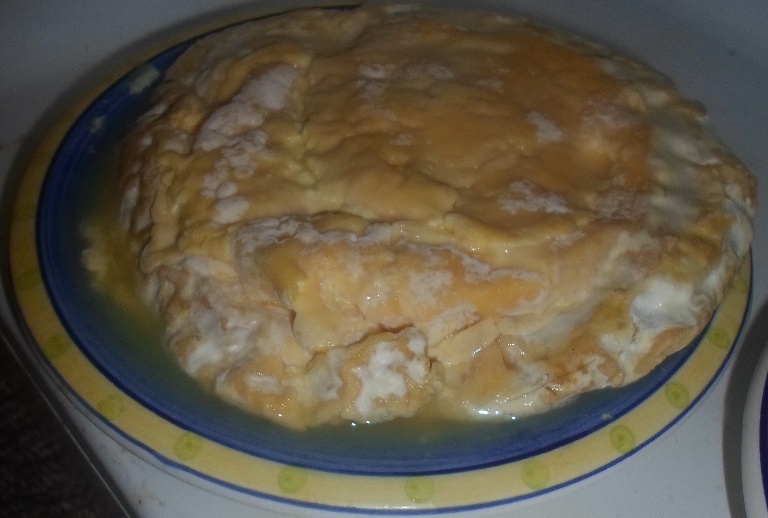 Or at least, I have half failed; one of my wheels of camembert which I had maturing at home has imploded, resulting in a gooey, yellow mess, specks of mould floating in a cloudy sea of old, un-extracted whey. I thought that I had researched, even over-researched the subject of DIY cheese making, but it turns out that I probably made some classic rookie mistakes. Below is a collection of tips, of weary words to head to if this is an endeavour you wish to pursue, a list that if I could turn back time I wish I could have followed. Tip #1: Removing as much of the whey as possible. Salting the surface in order to extract moisture may not be enough, I recently watched a documentary on cheese making in Brazil (yes, I did watch this by choice) and before salting the cheese, these farmers would place a large, smooth stone on top of each wheel while it was wrapped in the cheese cloth for at least a day in order to squeeze as much liquid out as possible. They were also far more liberal than I was with the salt; the more salt equals more dehydration – a good thing in this situation. Tip #2: Clean clean clean. I said in my first cheese post, that it was essential to sterilize everything that touches your cheese so that no ‘bad bacteria’ gets into your cheese. This is for obvious reasons; the wrong sort of mould can lead to your cheese rotting instead of maturing, and certain kinds of bacteria can affect your cheese’s ability to grow mould which in turn can lead to it not maturing as well as it should. What I didn’t particularly do, but should have, was keep everything sterilised all the time; in hindsight, I think it is particularly necessary to clean the inside of your fridge before you start, and regularly during the process – you never know what invisible creatures can be carried on to your cheese but the air. Tip #3: Walk before you run. Every website and blog post I read about amateur cheese making specified the necessity of taking it slow when deciding to tackle more complicated cheeses – slow and steady wins the race, so to speak. I, however, thought that I was exempt from this rule, that I could just jump into the hard stuff – I had made ricotta and that had been easy, so why not just try something incredibly difficult as the next step? Don’t. Work your way up to the hard stuff, the natural progression is ricotta, mozzarella, blue vein, and then camembert. 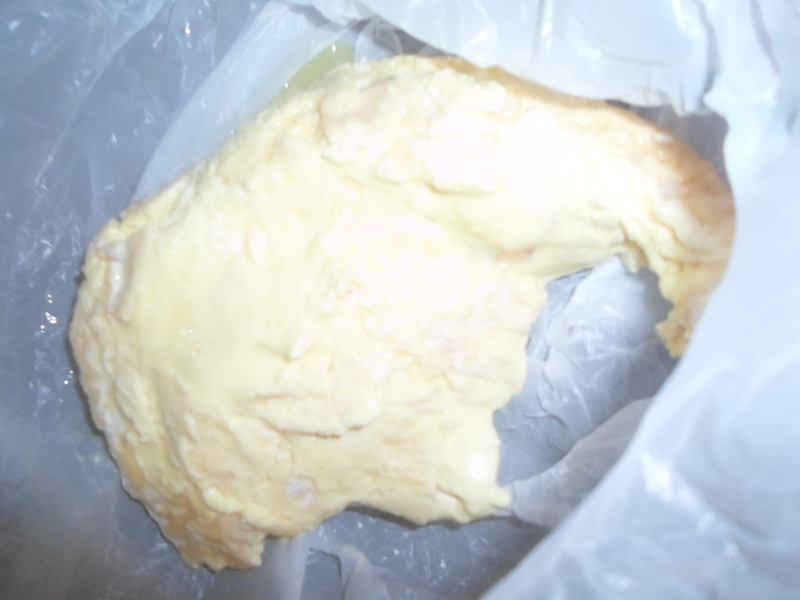 According to curd-nerd.com, there are many reasons why a camembert might not be growing ma sufficient level of mould. Mine moulded sporadically, rather unevenly, and I was not sure why, or to phased by it. It could be that the environment is too cold, or not enough salt was used (see above), there could have been too much moisture or unwanted mould could have beaten the good bacteria (also see above). I am relatively sure that my camembert didn’t produce enough mould because of the temperature or low salt levels. I know that the moisture levels where quite high, but I am almost certain that they weren’t too high. The refrigerator I used didn’t have a particularly accurate thermometer; the settings are either ‘Mild’, ‘Cold’ or “Really cold’ – not exactly scientific measurements! Only a little bit discouraged, I am not entirely sure on what my next step is, I still have my second wheel of camembert which is looking like it might be ok – it will be ready in about a week so fingers crossed! Maybe a blue vein, or I might even try my hand at making mozzarella, who knows?! How do you think I went? 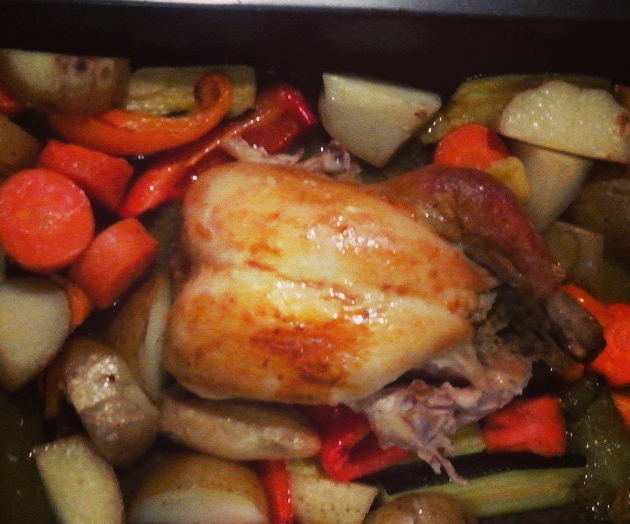 Anyone who grew up in an anglophile home is going to have nostalgic memories of roast chicken, and I am no different. Since beginning my travels I have eaten roast chicken in many countries and in far more situations than a Sunday lunch on a winter’s day. Frango no forno is a perfect early evening meal served in Portugal; a series of lemon wedges artfully arranged along the edge of the plate and a scoop of fries nestled next to the glorious oven-roasted chicken. It may seem odd to serve fries as a standard accompaniment to roast chicken, but on any table on Britain you will find potatoes; either roasted, boiled or mashed, within an arm’s length of the stuffing and gravy – fries are just one more variation of a good old potato, offering a fluffy contrast to chicken’s crisp skin and moist flesh. Since leaving Portugal I refuse to serve a roast without a dish of lemon wedges on the table, I often follow Jaime Oliver’s roast chicken recipe; a whole lemon in place of the stuffing inside the chicken’s cavity with a bunch of fresh herbs. The lemon’s juice keeps the chicken moist from the outside in, from the time in enters the oven until the time in enters your mouth. Not only are the lemon’s juices infused throughout the meat but the lemon’s flesh is infused with the flavours of your herb garden, the bitterness of the rind is cooked out and you are left with a tangy juice to add to your gravy or veges.